Another 2 kittens were found. If you're are interested in adopting them (in about 8 weeks time) please complete our Adoption Form. They have to be adopted together. 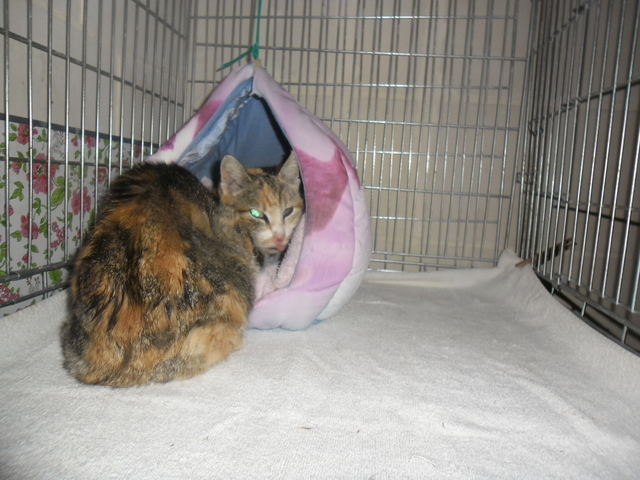 Missy was caught because she looked very bad and sick. At least it wasn't as bad as we thought! She had a steroid injection, vitamines injection, was dewormed and deflead and hopefullly she'll be better soon! For updates of Fuxa, please click here. George was caught and taken to the vet. He's on antibiotics now and hopefully we'll find him a LOVING home! 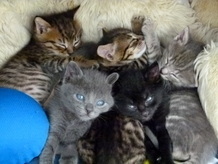 5 very hungry little kittens were found in a bag near a skip. 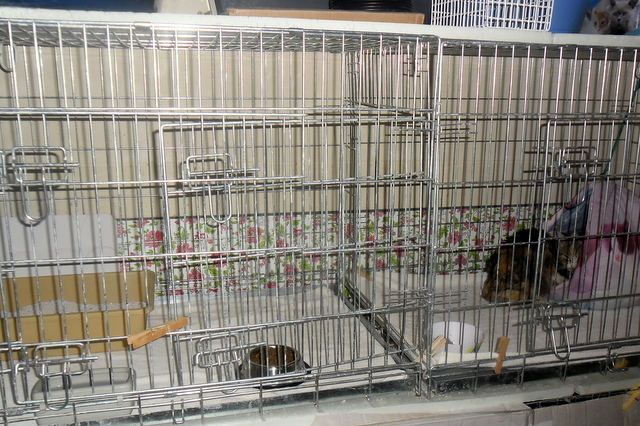 One of our (very dedicated) volunteers took them in and is taking care of them. In about 5 weeks they will be ready for adoption; if you're interested in adopting one (or two) of them, please complete our Adoption Form. We had to take Fuxa to the vet because he was constipated. The vet gave him an enema and after that he was feeling much better. Fuxa is doing well and growing. His weight is 146 grams now. 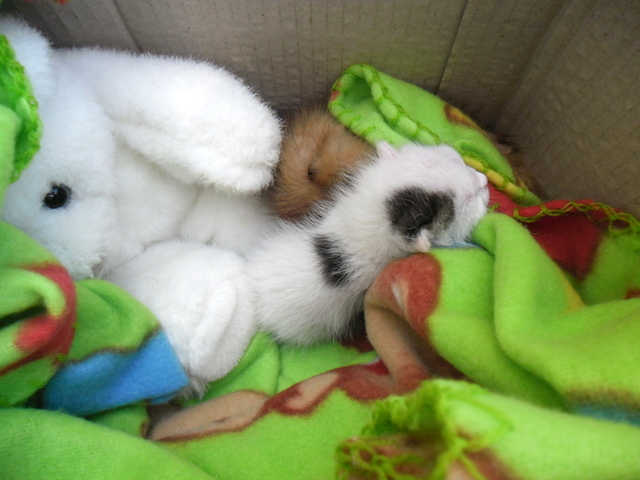 Two little girls from the Tas-Sellum colony were caught and neutered. 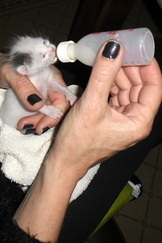 The little kitten is doing well. He's drinking from the bottle and very lively. For more info please see Fuxa. Our vet told us that Bro has to take antibiotics for another 4 weeks. After that X-rays will be taken again and hopefully we can save his leg!